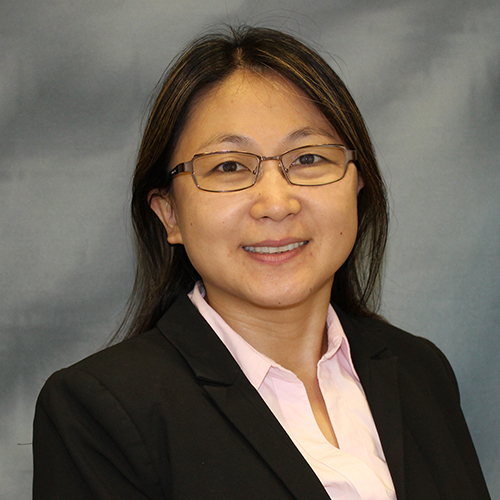 Dr. Chengying “Cheryl” Xu’s research focuses on high temperature sensing materials, smart ceramic composites, and artificial intelligence for process modeling. Dr. Xu is active in conducting research in the field of materials and advanced manufacturing and has attracted a high level of research funding. She joined in NC State University in 2018. She was an Assistant and Associate Professor at the University of Central Florida (2007-2013) and was an Associate Professor at Florida State University (2014-2018). She co-authored a textbook (Intelligent Systems: Modeling, Optimization and Control, CRC Press, 2008) and published four book chapters. Dr. Xu chaired the 1st NSF National Wireless Research Collaboration Workshop in 2015 and serves as an Associate Editor of ASME Transactions, Journal of Micro- and Nano- Manufacturing since 2015. Integrating artificial intelligence/machine learning into manufacturing processes. Xu, C., & Daniel, J. (2018). , . Presented at the 41th Annual Conference on Composites, Materials, and Structures, Cocoa beach, FL. Xu, C., & Wang, K. (2017). , . Pittsburgh, PA: Materials Science & Technology. Macdonald, J., & Xu, C. (2017). , . Presented at the National Space and Missile Materials Symposium, CA. Xu, C., & Peebles, J. (2017). , . Presented at the Material Measurements Working Group, Dayton, OH. This proposal is to develop a hybrid, multifunctional composite material that is an improvement upon the thermal and chemical stability, and surface durability of traditional polymer composites. Such hybrid multifunctional composite materials can be applied in higher temperature and harsher environment than current typical polymer based composites, and can be utilized especially in naval and marine parts for enhanced strength and durability (salty and high moisture environment). By using a standard co-curing lay-up process, in which a flexible conductive ceramic thin laye is bonded directly onto the outmost layer of polymer composites to ensure the material integrity, a new, effective and useful composite will be manufactured following the same procedure as standard carbon fiber reinforced polymer (CFRP) composites. The objective of this project is to develop a hybrid, multifunctional composite material that improves the thermal and chemical stability, and surface durability of traditional carbon fiber reinforced polymer (CFRP) composites. By using a standard prepreg lay-up process, in which a flexible conductive ceramic thin layer is bonded directly onto the outmost layer of polymer composites to ensure the material integrity, a hybrid composite will be manufactured following the same procedure as standard CFRP composites without increasing extra manufacturing cost. The produced hybrid composites can be used in harsher environment, (e.g., high temperature, moisture under load, ultraviolet radiation, corrosive chemicals). The manufacturing procedure is readily scalable.